Note: the following applies to links in the UK. For other countries and regions, you will have to check local regulations and regulators. For example in the USA, the FCC is the relevant authority. Also note that specific frequencies and bands allowed are different in different countries. Many frequencies of microwave require licensing from OFCOM in the UK. Acquiring and renewing licensing for wireless backhaul from OFCOM can be a daunting task. 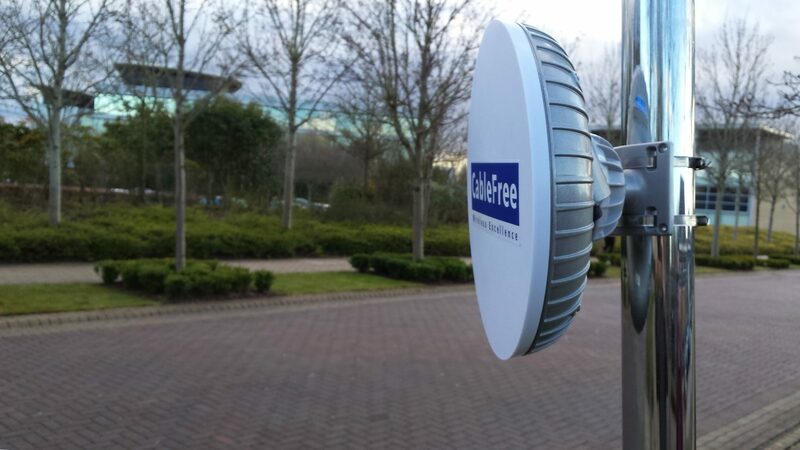 CableFree: Wireless Excellence can arrange and maintain your spectrum licence by making all the necessary applications. Licensing costs can be as little as £50pa from OFCOM, and pairing up the correct licence, with the correct product that best suits your requirements are a skill we bring to the table. For a list of licensed backhaul technology we can provide, see our licensed microwave products.